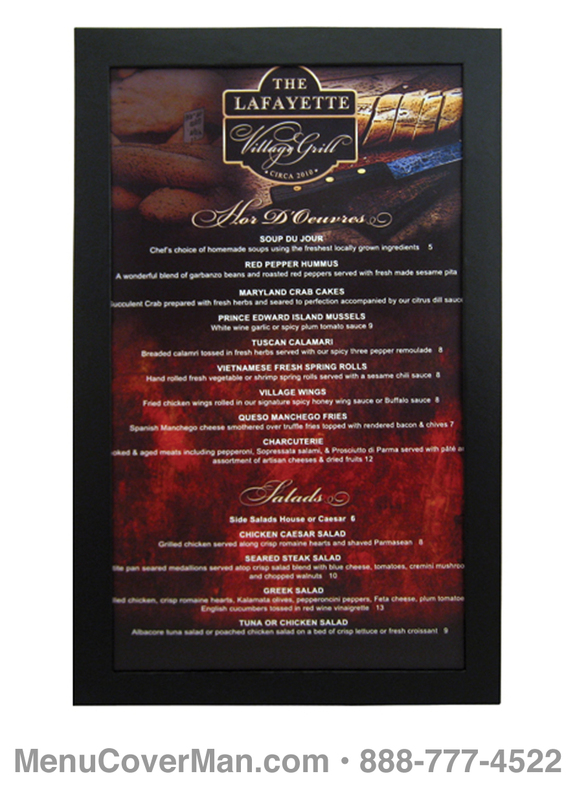 Menu Frames put your offering in a whole new light. When you want that utterly new & exciting presentation, here's an answer that is sure to please. Menu frames are not imprintable. • Allow for 1-1/2" coverage of the outside of your insert. • Clear vinyl sheet protector included. • Available in beautiful Bistro or Stratford Brasserie finishes. 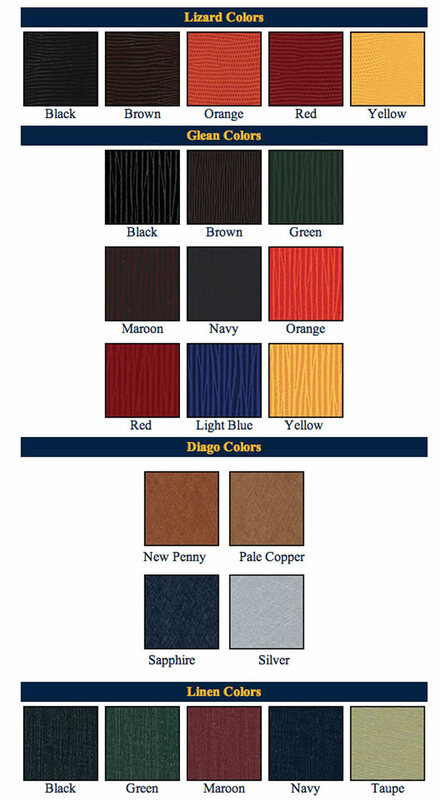 This offers you a large range of elegant finishes in many colors. 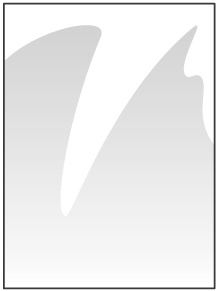 You can see them all at the bottom of this page. 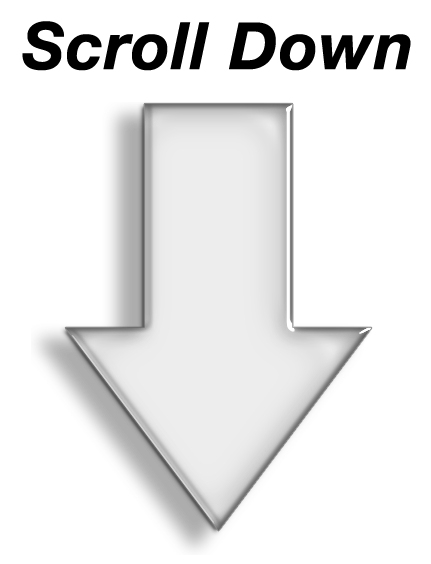 Please scroll down! Select Bistro or Stratford when you enter your order. We will call you to review the various finishes in that subset, before your credit card is charged, & before your order is processed. Or, you can indicate your precise swatch choice in the Questions, Comments & Imprint Copy box when you get to the Shopping Cart. at 888-777-4522, & we'll be happy to take your order from start to finish, all in about 10 minutes of your valuable time. One is included with each view, but you may wish to order additional protectors for replacements as needed over time. 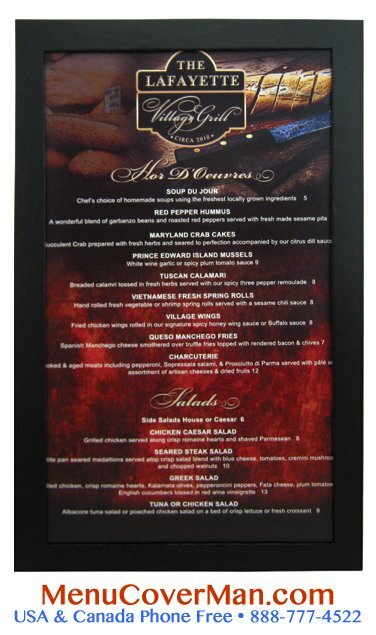 • Clear menu protectors protect your valuable printed menus from dirt, grease & smudging. You can order as many as you wish, with a 25 piece minimum. 3 sizes are listed in the 'Choose Size' pop-up. Choose Size 8-1/2" x 11" 8-1/2" x 14" 11" x 17"
Select the one you like, & when you enter your order, indicate in the Questions, Comments & Imprint Copy box in the Shopping Cart the style & color you would like. Or, place your order, & if you don't indicate the exact finish you want, we will call you to talk it through. Finally, if you wish, simply call 888-777-4522 in the USA & Canada right now to place your order & we'll do it all for you!